Eugene, Ore.- The Winter Ale Fest takes place from 5-8 p.m. at The Bier Stein on December 11. Try free seasonal beer samples and spin the Bier Stein Wheel of Fortune for fun prizes. Download the Eugene Tasting Trails App and receive a VIP lanyard that will provide you with bottle discounts and tasty hor d’oeurves during the event. 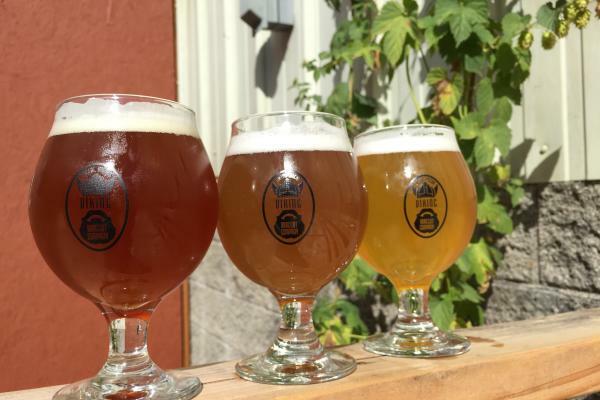 The Eugene Tasting Trail App combines the current paper passport games, like the Eugene Ale Trail, Eugene Distillery Trail and Pinot Bingo, and moves them to an App! Available on iOS and Android devices on December 11, just download the app, visit participating businesses and earn prizes! It&apos;s FREE to download and participate! Find out about the app and how to play during the first Winter Ale Fest on December 11 at The Beir Stein or following the launch at EugeneCascadesCoast.org/Eugene-Tasting-Trails.